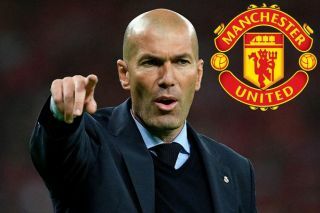 Manchester United have been handed a potential boost to their hopes of landing Zinedine Zidane as their next manager. A recent report from the Daily Mirror stated that the Premier League giants have the Frenchman on standby as they ponder the right moment to part company with current boss Jose Mourinho. Zidane was a big success at Real Madrid before stepping down in the summer, having won an incredible three Champions League finals in a row. This already makes the 46-year-old one of the most successful coaches in the history of the European Cup, despite him working at senior level management for less than three full seasons. Mourinho is under pressure at Old Trafford at the moment after United’s poor start to the season, so it’s little surprise they are being linked with a change. Calciomercato may also have handed the Red Devils some hope with their update on the Zidane situation, as they claim he’s turned down an offer from Juventus as he isn’t interested in a directorial role. The piece adds that Zidane’s big ambition is to manage in England and win more Champions League titles, so United will be delighted if they really are chasing him as their ideal replacement for Mourinho. The Portuguese may have bought himself some more time, however, having led United to an impressive 3-2 win from 2-0 down against Newcastle at the weekend.